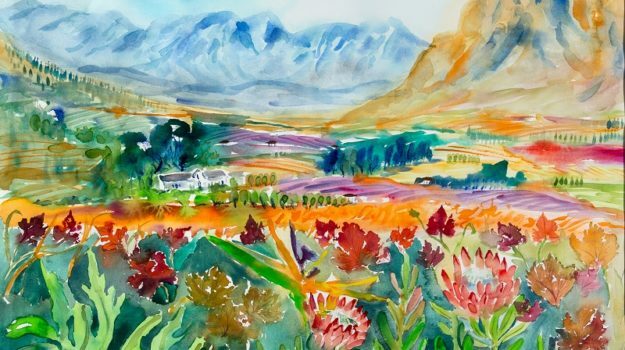 The Teresa Decinti Art Gallery in Stellenbosch is filled with vibrancy and inspiration – featuring watercolour and oil paintings of the beautiful landscapes of South Africa. Teresa Decinti, the gallery’s owner and artist behind each painting, studied Art at the University of Pretoria – graduating with a BA degree in Fine Art and Information Design. From there, Teresa went on to study graphic design and graduated with an Honours Degree in Art. Before opening her gallery in 2004, Teresa painted from home and frequently participated in Art Festivals, including the Knysna Nederburg Arts Festival and smaller exhibitions in Knysna and Plettenberg Bay. 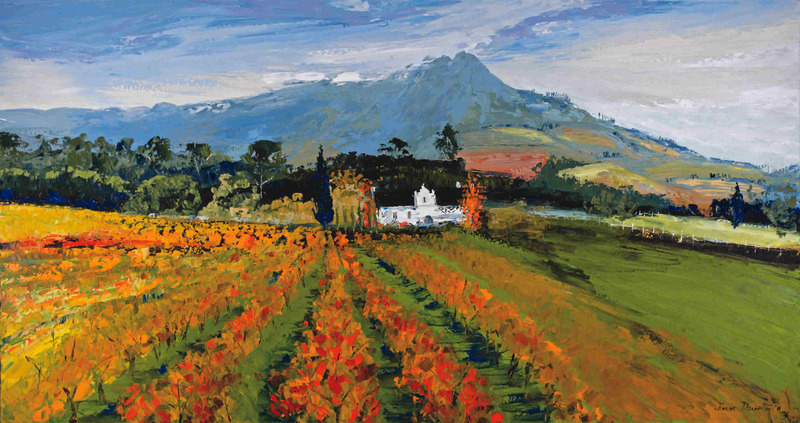 In 2009, Teresa participated in a large exhibition in Lourensford where she displayed her fine brush oil work. Furthermore, she has exhibited her work at the Cape Gallery in Cape Town, and KanonKop in 2013 where her portrait of Madiba was purchased and can be found hanging in their wine tasting room. Teresa is skilled in watercolour, fine brushwork oils and palette knife oils and has many of her stunning illustrations displayed throughout her gallery. 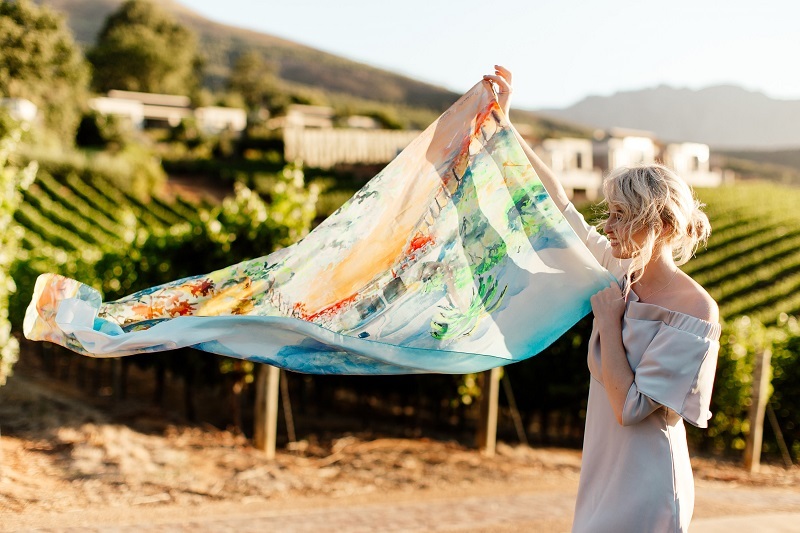 Additionally, Teresa has had selected pieces digitally printed onto 100% silk scarfs, linen, postcards and ceramics. Please see more images of her silk scarves here. Furthermore, prints of local scenes and landscapes including historical houses and botanical paintings of the protea and fynbosch regions are available, along with bronze displays from local artists. 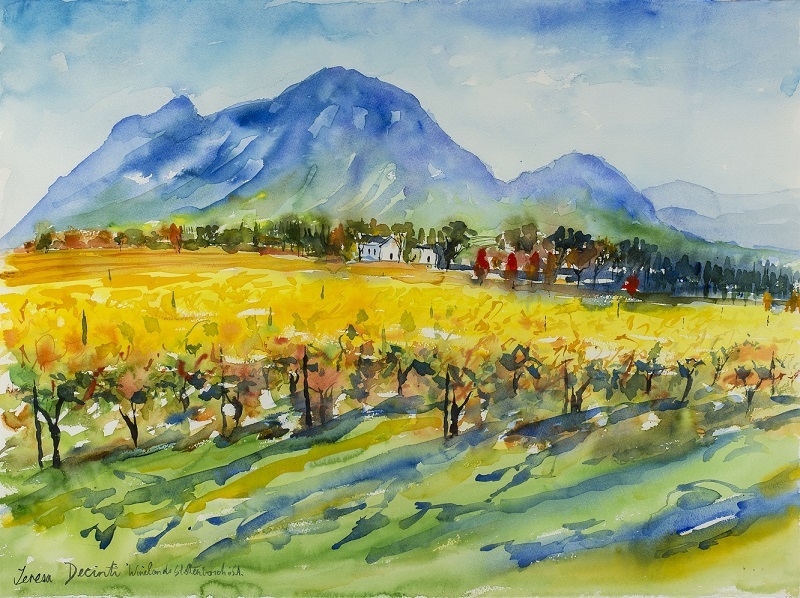 For more information about our available artworks, please feel free to contact our art gallery in Stellenbosch.